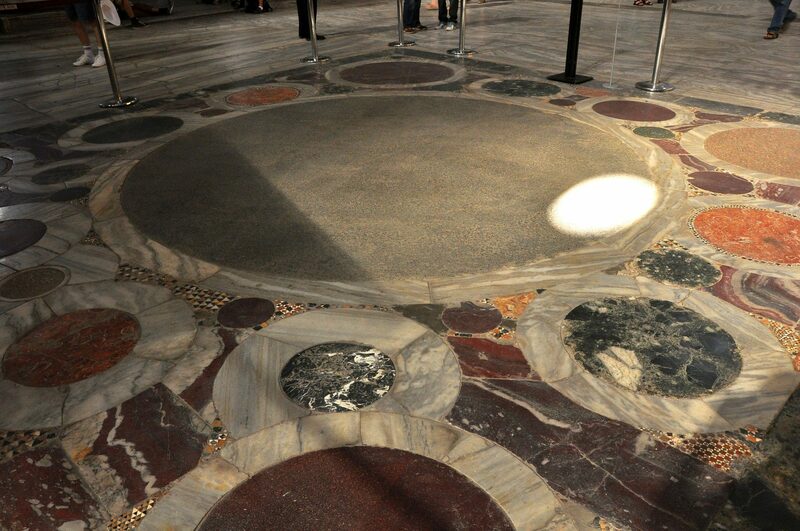 on the site in 360 A.D.; it was rebuilt twice, both times after being destroyed by riots. 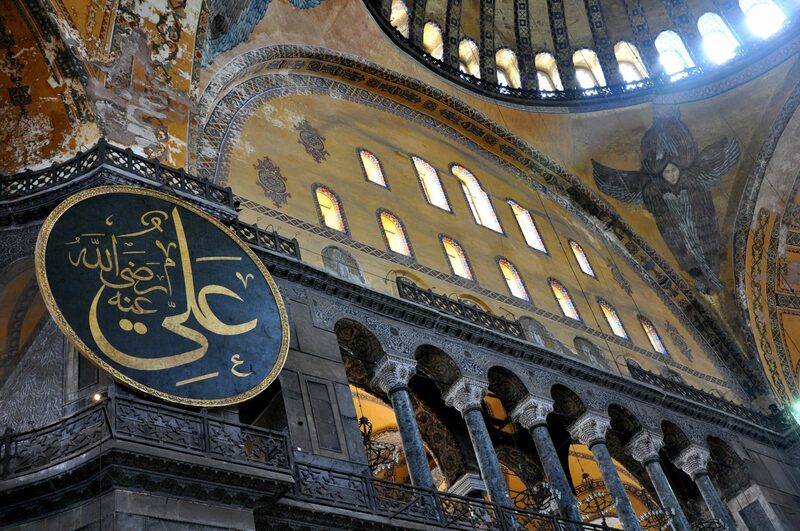 (To see what the older Hagia Sofia(s) would have looked like, check out Byzantium 1200's digital reconstructions). the Seville Cathedral in 1520.
secularization under Ataturk, it became a museum. See what I mean about it being a microcosm of Istanbul — and Turkey — in general? being hidden for centuries by the Ottomans. On a broader, architectural note, of course, it's no surprise that the Hagia Sofia looks — almost — reminiscent of that seemingly divinely-inspired building in Rome: the Pantheon. 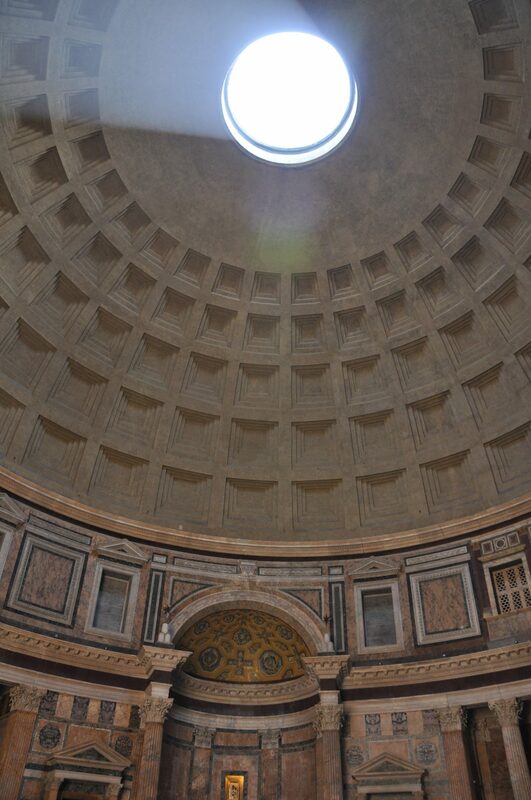 Both structures innovated in setting a circular dome on a square, rather than circular, shape. 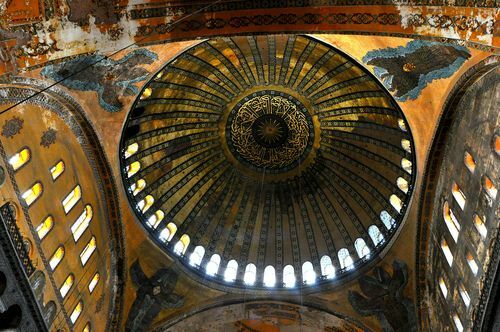 And both awed contemporaries by building domes on such a large scale: The Hagia Sofia's original dome, which collapsed in 559, was thought to be slightly bigger in diameter but shallower than the current one, built in 563. Even so, the Hagia Sofia's dome today is 102 feet in diameter — just 40 feet smaller than the Pantheon's. (Check out the difference between the two in the images, below). 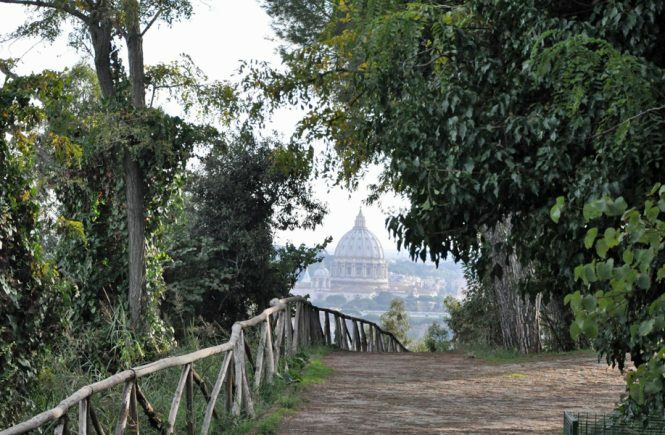 Don't miss the garden of the church, either. There, in an unassuming tumble that reminded me of abandoned bits of column in Rome's Forum, lie several marble blocks from the second church, dating back to 415. The most striking among them depicts twelve lambs, each symbolizing one of the twelve apostles. Many more remnants of the ancient church remain in the area — but they're still buried underneath the ground, excavations ending in the 1930s after it was realized that continued work could harm the current structure. 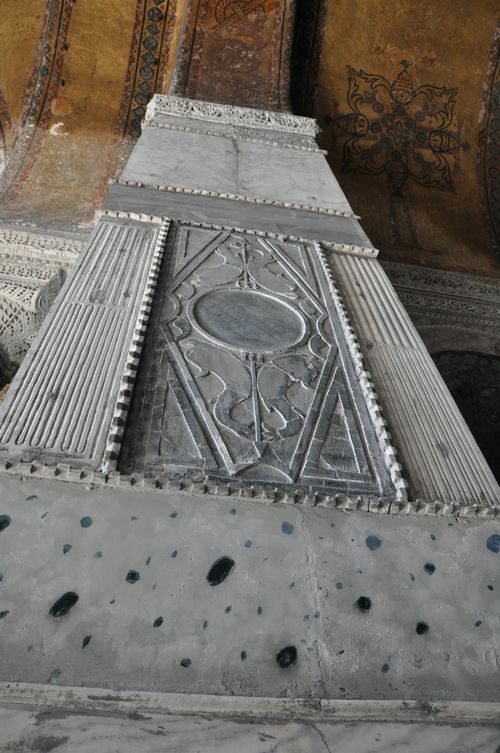 Even without that, though, there are enough treasures in the Hagia Sofia to keep a history or archaeology geek satisfied — and maybe a little bit awed. This place is truly beautiful.